Hot Weather Favorites! (Affiliate Links) *Denotes Press Samples. To be perfectly honest with you, often times when the weather starts to heat up here in Los Angeles-- I opt to be outdoors in order to enjoy the lovely weather, and makeup is most often the furthest thing from my mind. In fact, I often go without it altogether. That said, I do enjoy certain indulgences that keep me moisturized, hydrated, quenched, refreshed and happy. It is in these times that I use minimal skincare products, but load up on sunscreen, and I keep misting sprays close at hand. Here are my top picks that I reached for the most in July! I find that the coordinated use of the Rodin Olio Lusso Luxury Face Oil (reviewed here) and Body Oil (reviewed here) in conjunction with the Rodin Olio Lusso Lip Balm (reviewed here) makes for a delectable sensory experience, and these beautifully scented gems evoke a tranquil breeze carrying the lovely scent of Jasmine. I like to apply the Rodin Olio Lusso Body Oil right out of the shower to warm damp skin. The scent is absolutely divine, and it leaves my skin soft, supple and glowing. I cannot ever imagine not using this ultra luxurious body oil not just because it is such an effective moisturizer, but also because the scent is truly addictive. Ingredients: Simmondisa Chinesis (jojoba) Oil, Jasminum Officinale (jasmine) Oil, Prunus Amygdalus Dulcis (sweet Almond) Oil, Prunus Armeniaca (apricot) Kernel Oil, Oenothera Biennis (evening Primrose) Oil, Calendula Officinalis Flower Oil, Arnica Montana Flower Extract, Rosa Canina Fruit Oil, Citrus Aurantium Dulcis (orange) Flower Oil, Helianthus Annuus (sunflower) Seed Oil, Argania Spinosa Kernel Oil, Benzyl Benzoate, Linalool. Rodin Olio Lusso Luxury Face Oil is one of the beauty oils that I have remained loyal to, not just because it hydrates and plumps my skin, but also because it gives my skin a stunning otherworldly glow and radiance. Furthermore, this is the first oil that completely healed two little dry patches when nothing else would. It is made from 11 nourishing essential oils derived from flowers and botanicals, and the scent is an intoxicatingly beautiful jasmine. There is a reason why this luxury oil has a loyal following of devotees who would more likely give up just about anything else before abandoning this gorgeous product. Ingredients: Jasmin Officinale (Jasmine) Oil, Prunus Amygalus Dulcis (Almond) Oil, Simmondsia Chinesis (jojoba) Oil, Oenothera Biennis (evening Primrose) Oil, Rosa Canina Fruit Oil, Arnica Montana Flower Extract, Calendula Offincinalis Flower Oil, Citrus Aurantium Dulcis (orange) Flower Oil, Helianthus Annuus (sunflower) Seed Oil, Argania Spinosa Kernel Oil, Benzyl Benzoate, Linalool. 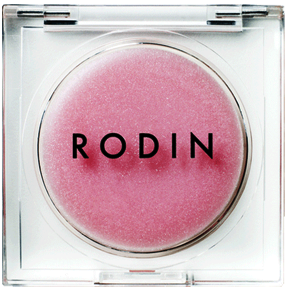 I once described Rodin Lip Balm as a tiny slice of pink heaven, and I remain steadfast in this belief. In my estimation, this is one of the greatest lip balms ever created! It not only leaves lips soft, supple and unbelievably moisturized, but it has the low sheen of a luxury lip gloss, and leaves behind the most beautiful pale pink pout. Ingredients: Ricinus Communis (castor) Seed Oil, Cera Alba (beeswax), Butyrospermum Parkii (shea Butter) Oil, Jasminum Offcinale (jasmine) Oil, Citrus Aurantium Dulcis (orange) Flower Oil, Aloe Barbadensis Leaf Extract, Argania Spinosa (argan) Kernel Oil, Mica, Ci 77891 (titanium Dioxide), Ci 75470, Benzyl Benzoate, Limonene, Linalool, Farnesol, Geraniol. Clayspray Hydrate H20 Mineral Rich Mountain Spring Water Spray* (reviewed here): This misting spray is so refreshing and hydrating that I have found myself reaching for it quite often during the month of July. I have nearly finished this can, and will definitely be repurchasing it! Mario Badescu Facial Spray with Aloe, Herbs and Rosewater* (reviewed here): Mario Badescu describes this facial spray as, "A refreshing, hydrating mist to use any time. Formulated simply with fragrant herbal extracts and rosewater for a pleasant pick-me-up for dehydrated, tight and uncomfortable skin. Gentle, non-irritating." Not only is this a refreshing and hydrating spray, but the rosewater scent is just beautiful. I'm in love! Ingredients: Deionized Water (Aqua), Aloe (Aloe Barbadensis Leaf Juice) Vera Gel, Bladderwrack (Fucus Vesiculous) Extract, Herbal Extract,Rose (Rosa Gallica) Extract, Gardenia (Gardenis Florida) Extract, Propylene Glycol. Fake Bake Mistifier Oil Free Moisturizer Body Spray* (reviewed here): According to Fake Bake, this is, "the ideal companion to your Fake Bake sunless tanner, this formula combines lightweight emollients and hydrators with green tea, vitamin E, ginger root and aloe for a refreshing sensation that calms irritation. The added moisture ensures a more uniform, long-lasting, healthy-looking tan from head to toe." First I have to say that Mistifier is so much fun to use because once sprayed it foams up and cools the skin while moisturizing it. It makes the skin feel so good in the warm weather that you might be tempted to use more than is actually needed! Ingredients: Aqua, (purified Water), Dimethyl Ether, Neopentyl Glycol Diheptanoate, Glyceryl Polyacrylate, Camellia Sinesis Leaf Extract, Zingiber Officinale (ginger) Root Extract, Tocopheryl Acetate (vitamin E), Aloe Barbadensis Leaf Juice, Acrylates/c10-30 Alkyl Acetate Crosspolymer, Polysrobate 80, Citric Acid, Tirethanoalmine, Fragrance. I almost never drink sodas, and almost always drink only water. However, whenever I want something tastier than water I always choose Coconut Water-- not only because it is so hydrating and great for a dewy complexion, but also because I love the way it tastes. In fact I have been obsessed with it for a very long time, and always buy it by the case. During the warmer months of the year I seem to drink quite a bit of it, and what I have learned along the way is, unsurprisingly, that not all coconut waters are created equally. I have also grown far more picky about which ones that I will repurchase based upon taste and purity of the product. I only drink coconut water that is 100% natural and with no other additives or sweeteners. One of my very favorite brands is UFC Refresh Coconut Water* because it tastes delicious and fresh, and because the only ingredient is 100% natural coconut water. I'm just about to order a couple of cases because it tastes that delicious! Natural Rehydration /Not from concentrate / No added colors & Flavors. 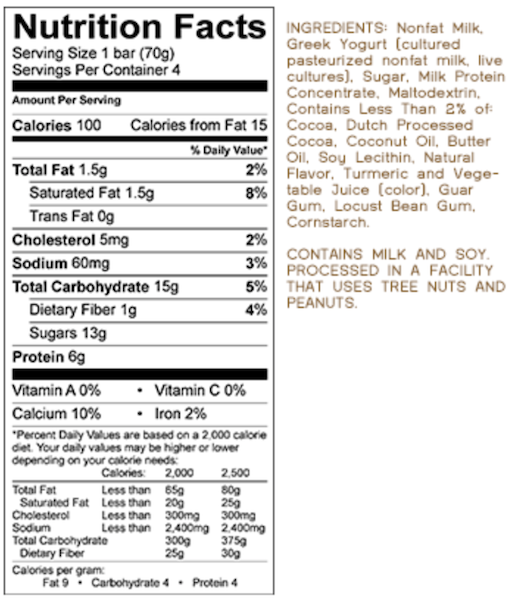 Ingredients: 100% Natural Coconut Water. Yasso Frozen Greek Yogurt in Mint Chocolate Chip is not just delicious and refreshing, but it is also low in calories. If you love mint chip ice cream, then you will love these scrumptious yogurt pops! I am reminded of hot summers as a kid when I stood in line at my local ice cream parlor to get a big scoop of mint chip ice cream! This nostalgic ice cream flavor can now be appreciated every day! Creamy mint Greek yogurt with a generous helping of chocolate chips, all at just 100 calories, 0 percent fat and 6 grams of protein. Old school satisfaction with a new school twist! What are your hot weather favorites? Those are so me great picks. I got my mum the Rodin Oil last year but haven't tried it myself, maybe I'll give hers a go next time I'm over there. Facial mists are so great for the hot weather, my go to has been the Caudalie grape water.